Which Scottish club would be the best fit for Celtic’s Eboue Kouassi? Brendan Rodgers has stated his intent to loan out Eboue Kouassi in the hope of finding Celtic’s £2.8million signing from last year’s January window some regular first-team football. He could decide to loan the player to England or the continent, but the Celtic boss has been willing to send out his talents to other Scottish sides in the past and may wish to repeat the practice if he wants to keep a close eye on Kouassi’s development. If he does decide to loan the 20-year-old Ivorian for the remainder of the campaign, which Scottish side would suit him the most? I’ve examined all Ladbrokes Premiership clubs to decide which is best equipped to take him on. Top flight teams cannot have more than one player on loan from another Ladbrokes Premiership club at the same time, therefore these three clubs are discounted. Aberdeen already have Ryan Christie from Celtic and may not have had space for the midfielder anyway. There’s already Graeme Shinnie, Kenny McLean and Anthony O’Connor vying for the defensive midfielder spots, not to mention ex-Rangers stopper Dominic Ball. Dundee are still trying to figure out how to maximise the talents of their current Parkhead loanee, playmaker Scott Allan. 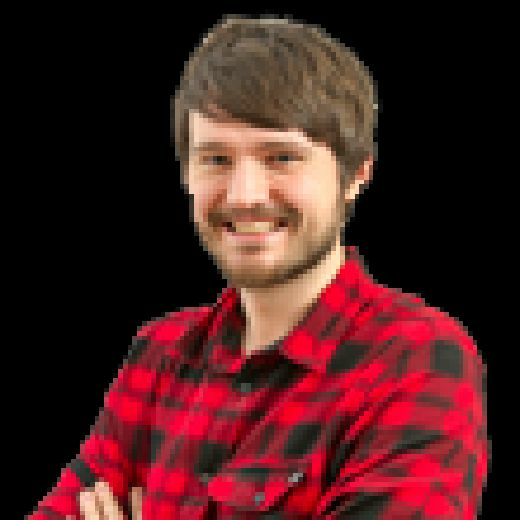 The former Championship Player of the Year is, statistically speaking, one of the league’s most creative players, but he rarely stands out in Dundee matches and manager Neil McCann has yet to find his best role. Besides, in Glen Kamara they already have one of the league’s premier defensive midfielders. Ross County would maybe wish they had Kouassi over the industrious but limited Jamie Lindsay, but Jim O’Brien does a fine job as the deep-lying playmaker and it’s a half-decent striker they desperately require right now. Hibs have a former Juventus youngster and full Lithuanian international playing mainly in reserve thanks to the form of Dylan McGeouch and John McGinn, so there isn’t a lot of room in the Easter Road midfield at present. Even if one or both of them should move on this month, there’s still Marvin Bartley holding court at the defensive midfield position. While Hibs were in the second tier, the issue with Bartley was that he lacked the football skills to hurt opponents when his side would dominate territory and possession. Kouassi would help with that regard, but in the Premiership most opponents are happy to try and attack Hibs and Bartley has, therefore, become more important with the step up in class. He’s a robust midfield stopper. Kilmarnock have Alan Power, Gary Dicker and Youssouf Mulumbu, all in terrific form of late and all playing in the centre of the park. An addition from Celtic wouldn’t hurt, but there will be other areas of the team Steve Clarke will be focusing on. Motherwell, given the recent poor form of the Lanarkshire club, probably wouldn’t say no to a Celtic player with terrific potential, but like Kilmarnock they will be looking elsewhere in January. They desperately need another striker or two after the sale of Louis Moult. Even if Kouassi and Celtic believed he’d be able to break into these sides, they’ll still want to play the odds and put him into a position where he’s got the best chance of playing every week. There’s only so much of watching Prince Buaben present the ball to the opposition Hearts fans can take before they begin to lose their minds on a weekly basis. While the usual stereotypes about Craig Levein have been out in force since he took over the Hearts manager’s job, the veteran boss has routinely stated that he wants his unit to pass the ball more, he just doesn’t have enough players (who are old enough to drink) capable of doing so. Kouassi could be a solution to the problem. Would Celtic loan to Hearts, though? And would Kouassi fit in with the organisation which Hearts have prided themselves on in recent weeks? Buaben, for all his flaws, does exactly what’s asked of him from a defensive point of view. The Ivorian youngster still has a lot to learn in that regard. This would also cast doubts on St Johnstone’s suitability as Tommy Wright’s side are famous for their organisation. Saints have, however, struggled to pass the ball cohesively this season, which has been a big reason for their struggles as they currently sit in the bottom half. Someone like Kouassi, who can link between defence and midfield and dictate the tempo, may be the kind of gamble worth taking to continue their run of finishing in the top six. Hamilton, meanwhile, have probably the most physical midfield in the country. Their tenacity and aggression are a big reason why they continue to punch above their weight season after season. It’s hard to imagine them upsetting that balance. Darren MacKinnon, who occupies the base of the midfield three, is the heart and soul of the team. Alan Archibald’s side usually line up with two defensive midfielders, which is an issue this term because they haven’t been fit. Captain Abdul Osman, the protector of the defence, last played in August, while Stuart Bannigan hasn’t featured since late September. It’s meant the stationing of Adam Barton and Ryan Edwards either at the base or as a tandem in a 3-5-2/3-4-3 variation. A lot of Partick Thistle’s struggles this campaign have come from this one problem. Barton is better in defence, playing the sweeper role in a back three, and Edwards’ strengths lie in his ability to cover every blade of grass. Though Osman is expected back soon, it’s still a position where Thistle lack depth with a number of players susceptible to injury. Furthermore, the Jags are a team which typically like to play football on the deck, and staying in Glasgow would mean the young Ivorian doesn’t have to venture far and attempt to settle in another area of the country just 12 months after initially arriving. It seems unlikely that Rodgers would wish the Kouassi to go down a level in order to find first-team football. After all, when he has played this season for Celtic he’s not looked completely out of place. 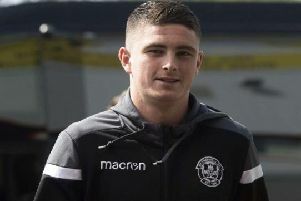 In the win over Dundee in mid-October, many supporters felt the midfielder was the side’s man of the match on the day. Sending him to the Championship won’t give Rodgers a clearer idea if he’s ready to play a significant role in the squad next term, and it’s usually the destination for players who’ve come through the youth ranks, not those who’ve cost nearly £3million. Then again, there are arguments to be made for such a move. It should certainly help the player’s confidence as he settles further and familiarises himself with how football is played in this country. Instead of slogging it out for a team losing most weeks, he’ll be starring for a squad gunning for a title. Of the two mentioned, United could use him more at present. The Terrors will be without Fraser Fyvie for the rest of the campaign and Scott Fraser until April after the pair suffered a couple of untimely injuries as Csaba Laszlo’s men try to keep pace with the Buddies at the top of the table. A technically excellent ball-player to add some poise to the midfielder alongside the frenetic talents of Willo Flood would be a huge boost to United’s title bid.